An affluent neighbourhood in the north west of London, Maida Vale may be a place that you’ve heard of because of its BBC studios. It’s often overlooked as a residential area because Marylebone and St John’s Wood are so close, but it sits within the borough of Westminster and is easily situated for travel into and out of central London. The area was originally named after a pub (The Hero of Maida) and now is more accommodating to gastropubs and restaurants than clubs and bars. Read on to find out if this canal-side district is the ideal place for your London homestay accommodation. Where is Maida Vale located? Located in Zone 2 of the city, Maida Vale is on the Bakerloo line of the London Underground and its postcode is W9. It sits to the west of Regent’s Park, north of Paddington and just south of South Hampstead. Despite its proximity to the centre of the capital, it can feel a lot further out and removed from the big city as the canal running through it invokes images of Venice and green spaces. The nickname ‘Little Venice’ is new and refers to a southern canal journey in the area. What’s the typical accommodation type in Maida Vale? Unlike most areas of London, Maida Vale’s properties are primarily Victorian and Edwardian blocks of mansion flats. There are very few actual houses, although development is currently in place for more modern apartments and townhouses to be built in time for the introduction of Crossrail. The arrival of the Jewish community in the late 1800s really sparked property building, and the London Underground station opening in 1915 further encouraged residents to move into the area. The mansion flats look historical from the outside, but have almost all been refurbished and updated within. Many such blocks have hidden communal gardens, which offer a lovely quiet environment unusual for the capital. There are also several colourful houseboats on the canal, although these make for considerably smaller living spaces than the typical mansion flats. How safe is Maida Vale? Maida Vale is considered a very safe neighbourhood, as it is primarily a residential and professional area, with very little tourist leisure. Rather than bars and clubs, its locals tend to spend time in independent restaurants, coffee shops and gastropubs, so there’s no noisy kicking-out times or rowdy crowds. What type of people live in Maida Vale? Maida Vale is a fairly prosperous part of London and this is mainly because of the people it attracts. 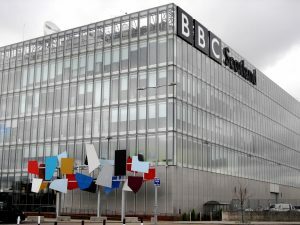 The BBC studios situated within it attracts media professionals and minor celebrities alike, as well as their families. There is still a sizable Jewish community in the area and the population is largely a mix of races, ages and backgrounds. What transport links does Maida Vale offer? The Maida Vale tube station is on the Bakerloo line, 14 minutes from Oxford Circus and 18 minutes from Waterloo. Other tube stations walking distance away are served by the Circle and District lines for further connectivity, and many buses pass through the area on their way in and out of central. Paddington station is a mile away and offers cross-country rail services. In late 2018, a new Crossrail station in Paddington will cut the journey into Liverpool Street by to thirds to just 10 minutes and extend services out of the city up to Milton Keynes. What is there to do in Maida Vale? Whilst fairly secluded – residents here like to keep it that way – there’s certainly no shortage of things to do in the Maida Vale area. The affluence of this area means there’s a good few independent restaurants around serving a whole host of world cuisines that don’t get too booked up in advance. Local favourites include The Truscott Arms, an award-winning gastropub, Maguro, a popular sushi shop that also offers take-away, and the Otto Dining Room, which was Hugh Grant’s favourite in About A Boy. You’ll find great places to try even just walking around in this neighbourhood. The oldest garden centre in London is Clifton Nurseries and is still open today selling a wide variety of plants, seeds and garden equipment. A pastime not often associated with big cities, take some time out to browse or even to work on your host family’s garden! Whilst not technically open to the public, the BBC’s seven studios can be visited and toured by those attending performances and filming. Look online for free tickets and visit this slice of radio and television history. A must-visit for those interested in pharmaceuticals or chemistry, the Alexander Fleming museum is situated in St Mary’s Hospital. Fleming is famous for his discovery of penicillin, and a recreation of his laboratory as well as exhibits on the history of medicine is well worth a browse! If you are an international student, intern or professional looking for homestay accommodation (“host family”) in Maida Vale or close by, we would love to hear from you. Similarly, if you have a spare room in your Maida Vale home and are interested in hosting international students, please do get in touch with us.